In his high-rise office in Beirut, Sandro Saade carefully chews a merlot grape from a vineyard hundreds of miles away in war-ravaged Syria, trying to determine if it is ripe enough to order the start of the harvest. It’s too dangerous for him to travel to the vineyards of Domaine de Bargylus, which is nestled in verdant hills where wine has been produced since ancient times. But despite the bloody conflict and the threat of Islamic extremists, he is determined to produce world-class wines, and to help preserve a Levantine cosmopolitanism imperiled by decades of war. 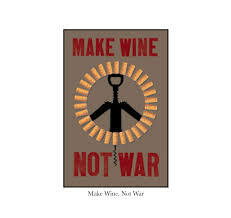 In Syria and Lebanon, boutique wineries mainly run by Christians have endured despite decades of unrest and the fact that Islam — the majority faith in the region — forbids both the production and consumption of alcohol. The challenges have mounted since the eruption of Syria’s conflict in 2011 and the rise of the Islamic State extremist group and other jihadist organizations. For families like the Saades, the production of wine is not only a business but an affirmation of their roots in a region increasingly hostile to Christians and other minorities. Their winery’s name derives from the classical Greek for the Syrian mountains overlooking the Mediterranean, and the tradition of wine-making stretches back to ancient times, when it flowed at bacchanalian festivals that would horrify today’s dour jihadists.